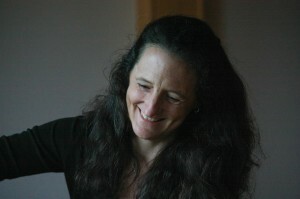 Meg received a BA in Theatre and Dance from Smith College ’80, and did graduate studies at Columbia University Teachers College in Movement Sciences and Psychology. She spent 10 years apprenticing with Irene Dowd, faculty at The Julliard School, New York City, in anatomy and neuromuscular training. She holds a certificate as Master Teacher of Kinetic Awareness, and has completed all levels of the Upledger Institute training in CranioSacral Therapy and Somato Emotional Release. Meg has been in private practice since 1985, specializing in working with trauma, restoration of movement, relief of chronic pain and cranial-sacral therapy. She has been on the faculty of Columbia University Teachers College, Barnard College, Connecticut College and the New School, as well as teaching in various dance and movement therapy venues. Meg has been working collaboratively and studying with Laura Barnard Stelmok since 2006. She splits her time between New York City and Maine.